A winner has been announced in the M&M’s contest! More candy! M&M’s had a contest going from March to the middle of June. 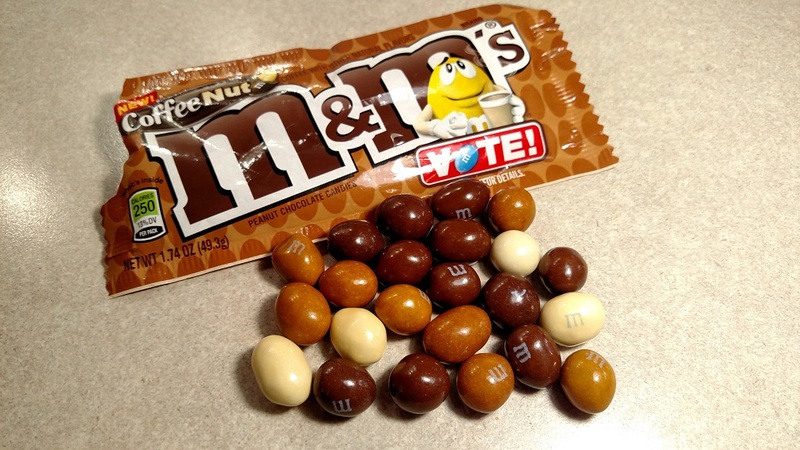 Three new M&M’s flavors were introduced. 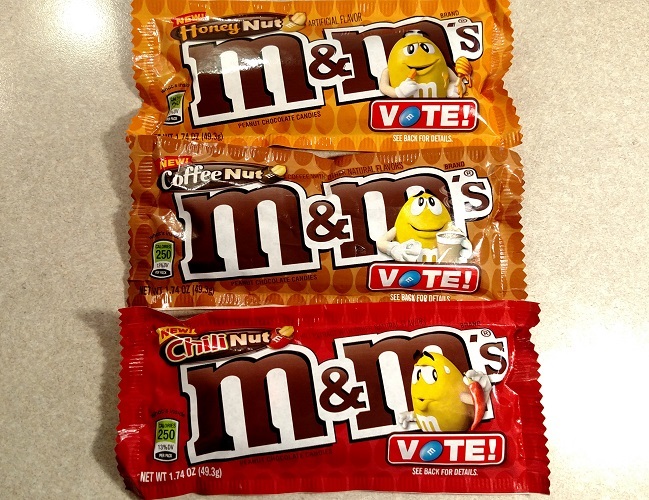 Voters chose between Honey Nut, Coffee Nut, or Chili Nut. See our full review here. We picked Coffee Nut as our vote. And we were right. Because we’re always right. Believe it. According to People Magazine, the new flavor will be available permanently in August. Who knew People Magazine was good for anything other than hot pics of Jennifer Aniston? Yes, yes, we know. We’re terrible. But they did nominate her Most Beautiful Woman 2016. We’re guys! Whaddya want??! We think this is pretty cool news. The Coffee Nut is an excellent flavor, striking a good balance between coffee, chocolate, and peanut. Unlike many other coffee flavored candies, it isn’t too strong of a coffee flavor. Nice. This will be a nice addition to our candy drunk food. Good stuff. Good job, voters! You got this one right.